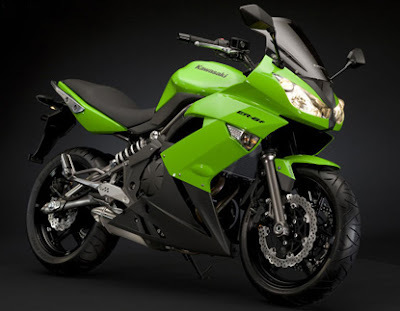 World's one of the top most sports motorcycle, Kawasaki Ninja is going to be introduced an higher version by April 2011. After the successful launch of Kawasaki Ninja 250R in the Indian auto market, the company is now looking forward to hit another sports motorcycle along with more power and better fuel efficiency. Kawasaki Ninja is really getting overwhelming response from the Indian buyers. 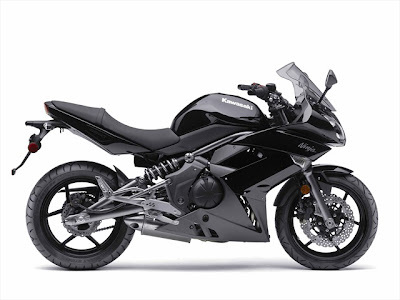 Recently Kawasaki Ninja 250R reaches 1000 sales mark. Presently, the all Kawasaki Ninja 250R selling by the officially partner of Kawasaki, Bajaj Auto India Limited at the company's Probiking outlets across the country. However, the company has not yet officially announced the launch of new Kawasaki Ninja 650R. The new Ninja 650R might be launched with attractive price tag around Rs. 6 to 7 lakhs. The all new Kawasaki Ninja 650R would be powered by 649cc, Four-stroke, liquid-cooled, DOHC, parallel twin machine. The powertrain of Ninja 650R has got a good capabilities to produce superb output of power and torque. It is expected to be incorporated with Six speed transmission system. The new Kawasaki Ninja 650R is believed to be available in three exciting shades and colours - Ebony, Lime Green / Ebony (SE), Pearl White / Ebony (SE). It might get tough competition with Honda Interceptor, Hyosung St7, Yamaha Yzf R6, Suzuki Gsxr, Honda Cbr600rr and more. On the other hand, the company also intending to introduce two more improved versions of Ninja that includes Kawasaki Ninja ZX14 and Ninja 400R.